Do recruiters find social media as an effective tool? HRO Today Flash Reports are a series of ongoing research that delivers focused briefs to support business decisions and further discussion among HR practitioners and thought leaders. This latest Flash Report, sponsored by Newton Talent, examines the use and importance of social media as part of a recruitment strategy. 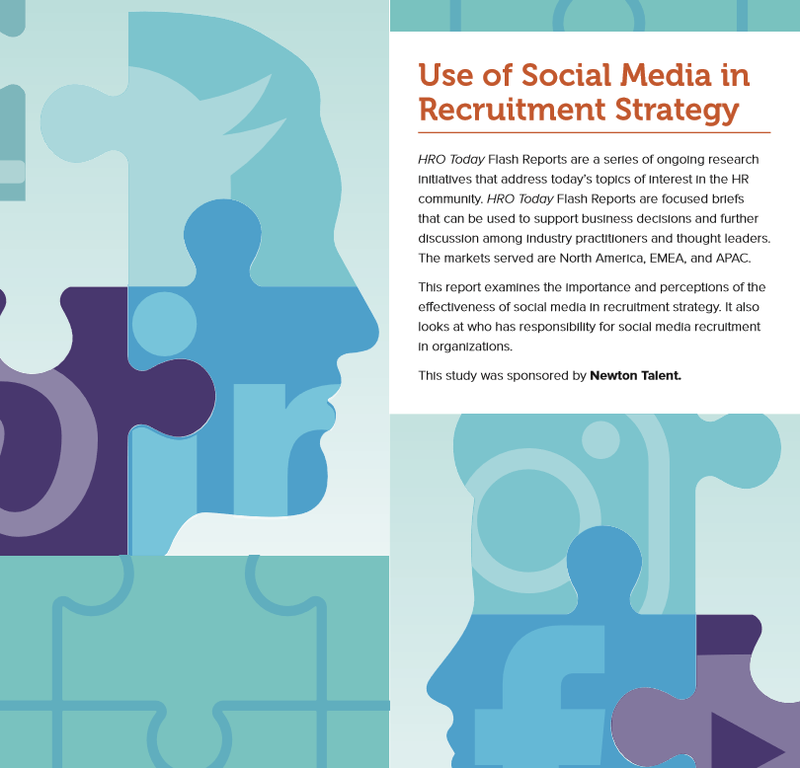 HR departments are now utilizing social media as an essential component of their recruitment strategy, with more than one-half (57 percent) of practitioners surveyed reporting that recruiters find social media as an effective tool. Commons goals of respondents who use social media in recruitment include: promoting jobs openings, building talent pools, reducing costs, and gaining referrals.